Adult Swim Singles have teamed with grindcore luminaries Pig Destroyer for the 31st installment of the current program. 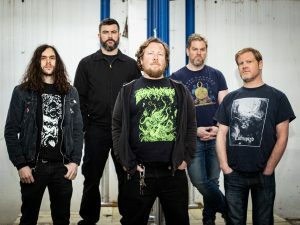 “Cameraman” is Pig Destroyer’s first release since last year’s highly acclaimed album Head Cage, which itself was the first album in six years from the prolific outfit. The new single mines a similar territory as the preceding album; an aggressive and sonically rich Venn diagram of grindcore and noise rock with touches of industrial swagger.